Salofalk mesalamine (4 g) rectal suspension (total 60 g) in white collapsible plastic containers for an easy application. 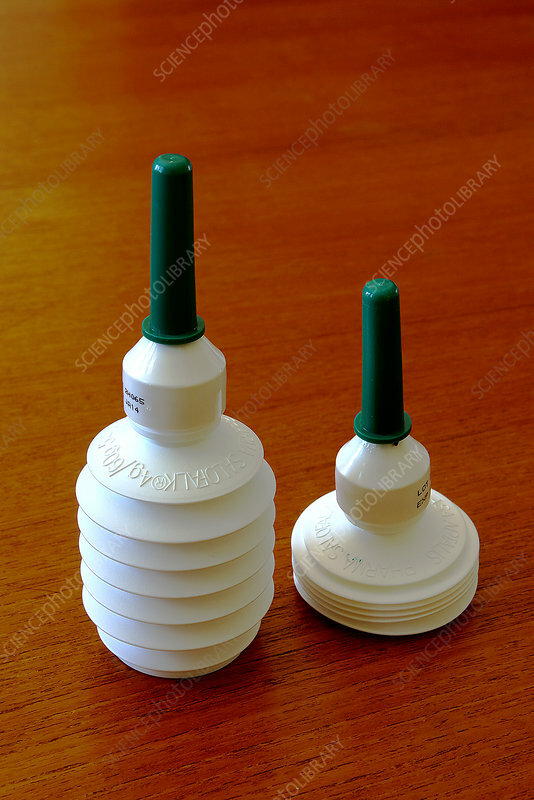 From left to right: (1) A fresh container closed with a dark tube, (2) a container completely emptied inro the patient with the outlet capped. The outlet is pre-lubricated with vaseline in fresh containers.